The girls bowling team advanced to the IHSA sectionals for the fifth consecutive year by virtue of a third place finish in regionals on Feb. 2. The Trevians made the cut along with Resurrection High School, Niles North, and Evanston, who finished 1st, 2nd, and 4th, respectively. New Trier’s pin total of 5,039 was only surpassed by Resurrection’s 5,409 and Niles North’s 5,164. Despite not having any individual qualifiers for sectionals, the players in New Trier’s lineup all excelled. “It was really a team effort between everyone. Tilly Duffy, Sam Wert, and I knew what we had to do. [Wert] threw her personal best series. Sarah Hughes took her experience from last year and was ready to bowl,” said senior captain Holly Fessler. Fessler was the team’s leading scorer with an overall output of 1,054 pins, while her fellow senior captains, Duffy and Wert, were not far behind with 971 and 998 pins respectively. Hughes, a junior who returned from last season’s team, accumulated a series score of 1,038 pins over the six games played, finishing as the team’s second-leading scorer behind Fessler. Although the upperclassmen performed as expected, their secret weapon was freshman Shannon Burgert. Burgert, who came into the season with little experience in bowling, proved to be the final piece to the lineup as she had 978 total pins, which included scores of 193 and 215 in the fourth and fifth games respectively. Burgert became the first New Trier freshman to bowl in all six games of regionals, and her score of 215 was the highest single game score of any New Trier player. Although Burgert exceeded expectations all season, her scoring explosion galvanized the team and instilled a belief that they could qualify for sectionals. 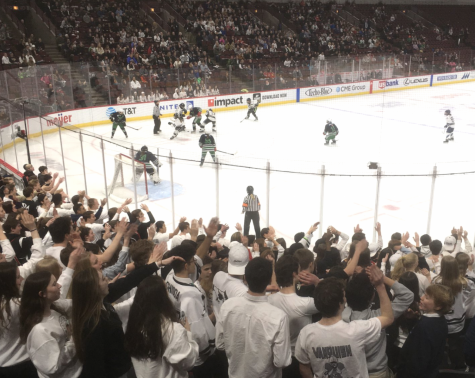 Although the team is making its fifth straight sectionals appearance, their journey to this year’s sectionals was much more turbulent than the others. They had just six returning players from last season that went undefeated in conference play, and they entered regionals with a lackluster 6-7 record. 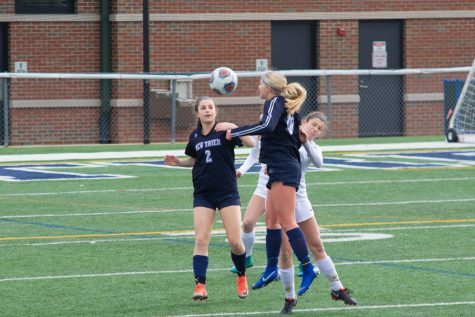 However, their performance at regionals extended their streak of sectional appearances to five, once again putting them on the brink of an appearance in the state finals. “[Reaching] sectionals is a great accomplishment. We lost a lot of great bowlers last year, and to go back to sectionals this year is a great accomplishment,” said Hjelmgren. Despite the new faces this season, the team’s philosophy and demeanor has remained largely the same. The team’s positive dynamic carried over from last season’s squad, which paid dividends in the improvement of the team’s newcomers. 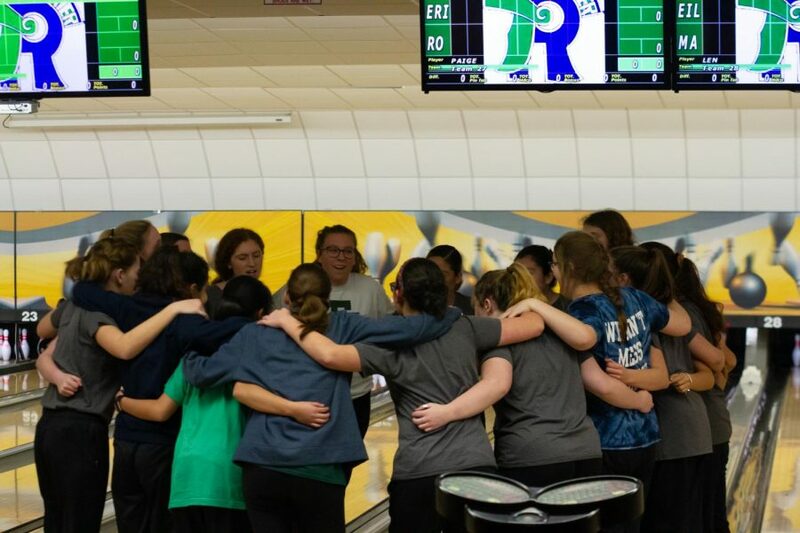 On Feb. 9 at Poplar Creek Lanes, the girls bowling team will attempt to do something that has never been done in their history: reach the state final. After finishing sectionals in fifth place in 2017 and seventh place in 2018, they will look to use their momentum from regionals to end their string of sectional defeats and propel them to their first state finals berth.